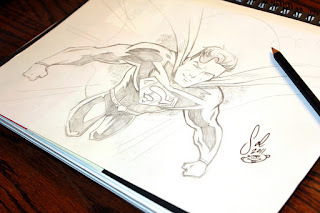 Today I sketched the one and only Superman. 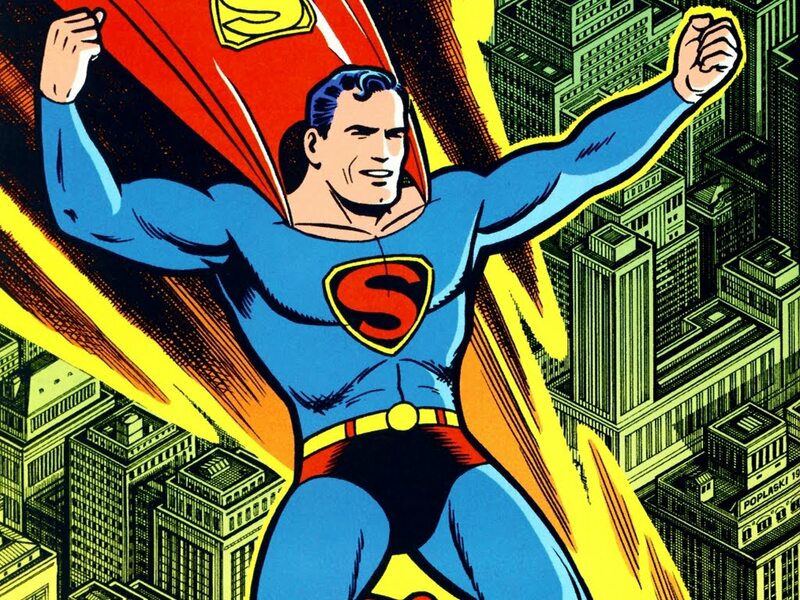 Everyone knows Superman, but some don't know that DC Comics recently rebooted 75+ years of continuity to freshen up the iconic characters and make them relevant in a 21st century world. They updated the costumes of most of the major DC icons, including Superman. I wanted to reflect some of those changes in this sketch, but some are missing, mostly the stupid armor lines. Why does Superman need armor when his skin deflects bullets? The biggest change was dropping the red shorts. I agree they had to go. The one thing you'll notice is I gave him more of the Fleischer look in his face. I just love that classic Superman. No ink today, but maybe tomorrow. If you'd like to win this sketch for $1, just leave the first comment and subscribe to this blog. Good luck! *Must have paypal. Shipping is included.